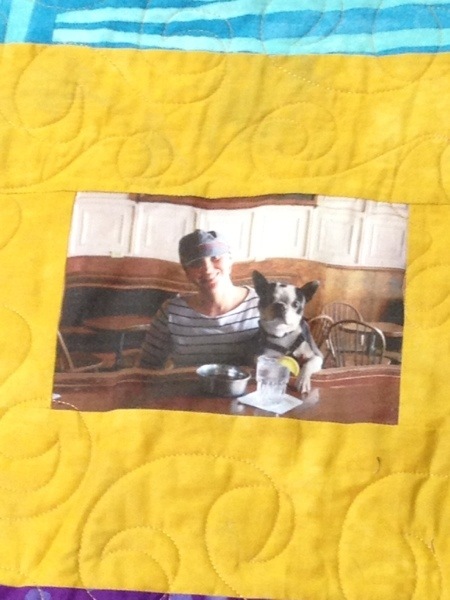 I have many clients who are very creative with their quilt tops. 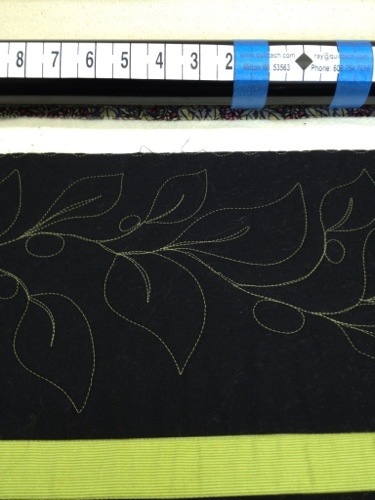 This top is an original design and the first in a series. 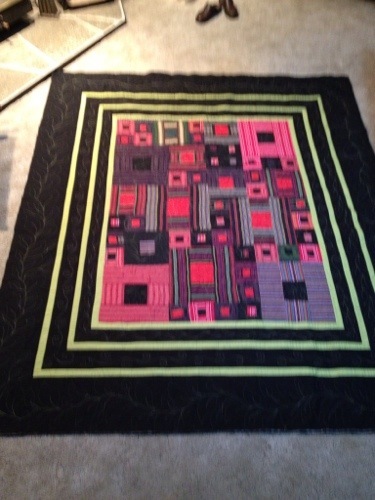 I was very excited to quilt this one and add my own touch of creativity. 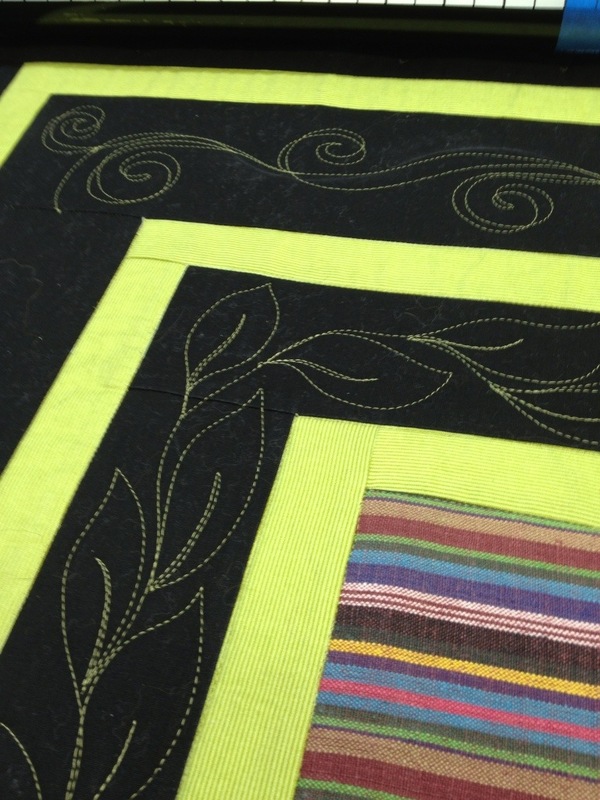 The client wanted olives and leaves to be a part of the quilting design. 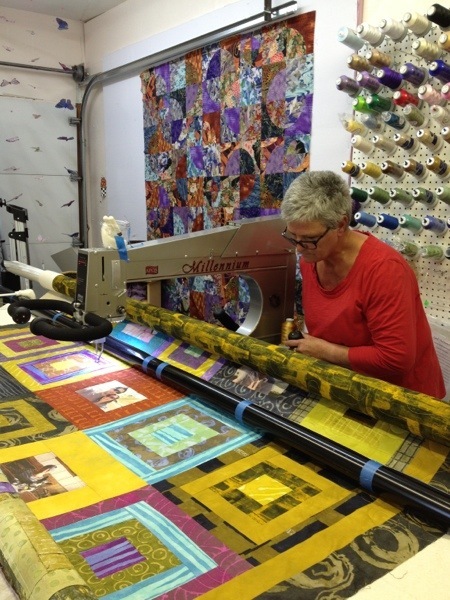 I love being able to freemotion quilt a top and add to the design without taking away from the quilt top. 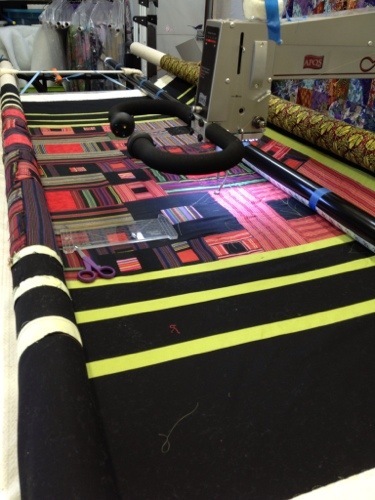 The surface design is meant to enhance most tops. I love being able to be creativity and dance with my girl, Crystal Rose (my APQS Millie). She and I listen to great music and dance! The finished piece was fabulous!! I hope to get another like it soon as it was so much fun. This year is going fast! I am having trouble believing that June is already here. My goal to write more often certainly fell by the wayside the last couple of months. 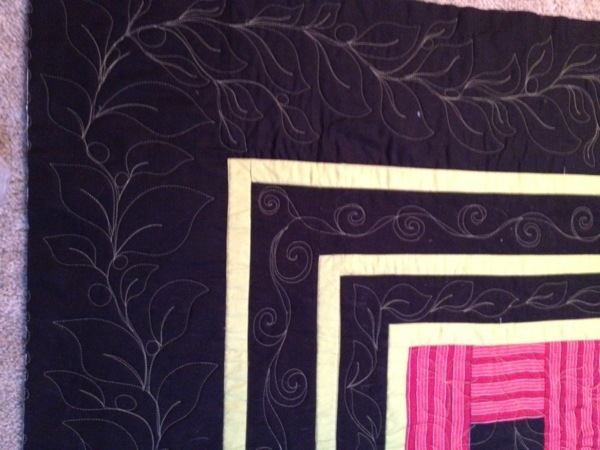 I have been very busy quilting but took a couple of play days with my good friend. 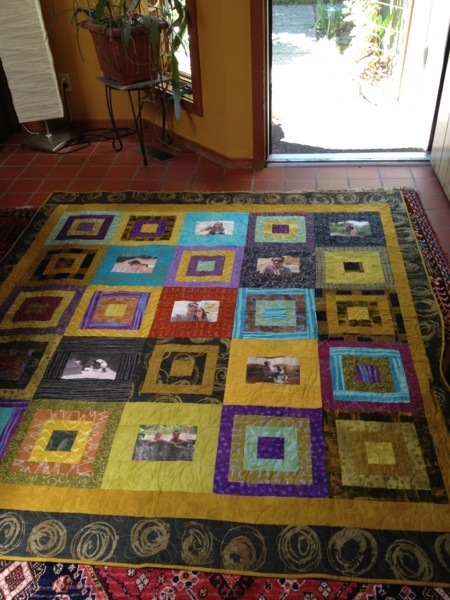 Her daughter was getting married and she wanted to make a memory wedding quilt with photos. 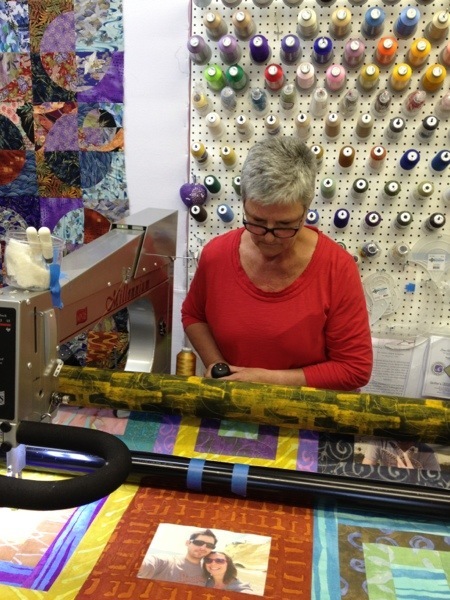 We had a great time at the quilt store picking out some very unique fabrics. 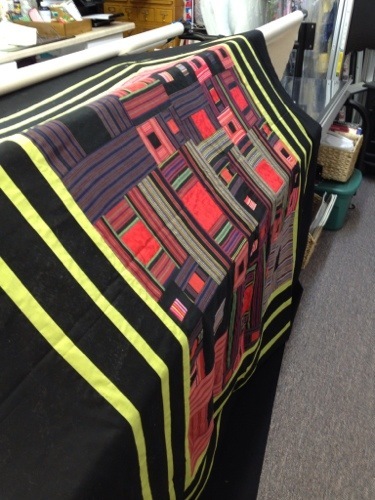 The pattern was selected for the quilt. 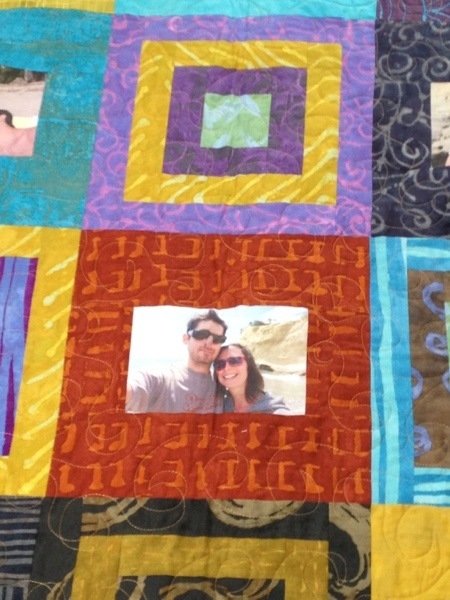 The photos were printed on fabric and ready to set in the blocks. We were ready to spend a few great days sewing, visiting, building memories. 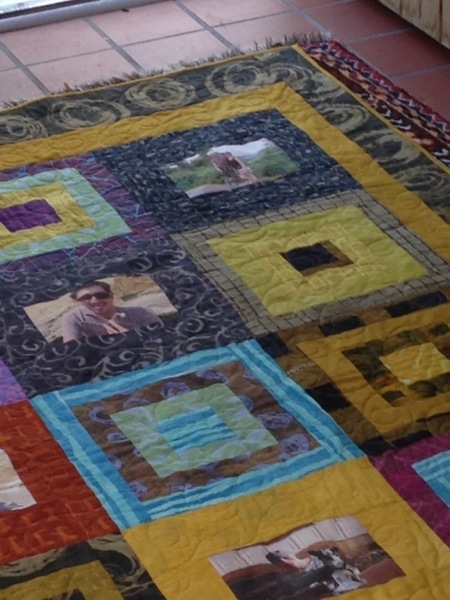 This was a quilt she made with love, for her darling daughter. (I was just the support person on this project). Learning to use the long arm can be intimidating to begin with, but she rapidly moved on to having great fun!